best quality 320k mp3s - available NOW !!! Lana Lane Announces New Album, "El Dorado Hotel"
El Dorado Hills, CA - After a four-year break since her last album, Lana Lane is back with her most powerful release to date, "El Dorado Hotel." The veteran symphonic rock diva delivers a 10-song tour-de-force of finely crafted original tracks in an audiophile production by husband/keyboardist, Erik Norlander. When asked about the long break between "El Dorado Hotel" and her previous release, "Red Planet Boulevard" (2007), Lane replies, "As an artist, you hope that you have something new to say with each record. This became harder and harder to do – especially when during some years, there were two or more new Lana Lane records released. I only want to release top-quality, sincerely crafted albums, and I certainly don’t want to release an album just to release 'something.' After nearly 15 years of working non-stop, it was time for a little sabbatical. I needed a break from the pressure and time to gather some perspective on my craft." "El Dorado Hotel" hosts Lane's usual broad spectrum of musical styles and genres with a cohesiveness that fans of the artist will recognize instantly. The opener, "A Dream Full of Fire," is a new Lana Lane classic that blurs the line between prog metal and jazz stylings in a melange that only she can deliver. "Maybe We'll Meet Again" is a European-styled melodic AOR radio anthem blending classic rock with modern sensibilities. The song, "El Dorado," is a Lana Lane epic with a soaring chorus reminiscent of her classic, "Queen of Ocean." The robust "Darkness Falls" introduces an Irish folk style combined with a gothic metal element with its haunting choral vocals and arena-crafted chorus. Then "Hotels" is an acoustic track that evokes jazz standards like "Autumn Leaves." The tracks, "Believe," "Life of the Party,"
"Gone Are The Days" and "Moon God" add further threads to the "El Dorado Hotel" tapestry. The album closes with the 11-1/2 minute opus, "In Exile" that producer Erik Norlander describes as a "vintage progressive rock epic." Norlander comments, "We've never done anything quite like this on a Lana Lane record before. 'In Exile' begins with haunting Mellotron strings that immediately sets the tone for this very cinematic piece of music with great dynamics and drama along with some odd meter bits that help to tell the story. The musicians are all working overtime on this one!" The musicians of "El Dorado Hotel" are a top-notch group of artists including both new and familiar faces. Lane says about the musicians, "Both Freddy DeMarco and Mark Matthews did some fantastic work on Erik’s solo project, “The Galactic Collective”. I then had the opportunity to play with them both during some live appearances in 2011 when I sang with the band. After having played with the guys and getting to know them, I knew that I wanted them to be a part of this project as well. Then for John Payne, Jay Schellen, Guthrie Govan and Bruce Bouillet (ex-Racer X), as you know, Erik has been playing with John Payne for about 5 years now. When the original 1982 lineup of ASIA reformed a few years back, John Payne formed his own separate band to continue all the work that he had done with ASIA during his 14-year run and many albums with them. So John and Erik tour as “ASIA Featuring John Payne,” and they’ve probably played over a hundred shows together. Jay is the drummer in the band, and both Guthrie and Bruce have been the guitarists. Bruce is working with them currently. I of course go to a lot of their shows and have become friends with all of them. It is a great group of people, and they are all very talented musicians. Since we see them so much and Erik plays with them constantly, it was only natural to work with them on this album. And then finally for Mark McCrite, Neil Citron and Don Schiff, all three of them have been on so many Lana Lane albums going all the back to my very first album in 1995. It’s great to continue working with them through all these years." “There are no weak tracks on the whole album, and Lana's usual great vocal performance is superior to the previous album, 'Red Planet Boulevard.' On the 1st and 2nd tracks, in addition to catchy vocal lines, the combination of fantastic metal guitar solos and elegant keyboards gives us a pleasant feeling. The middle of the album is the ballad section with some production gimmicks (adding effect on vocal on 6th track for instance) and is worth discussing. This album shows that Lana Lane is indeed the original diva of symphonic rock." We haven't heard anything from Lana Lane, our Symphonic Queen, in quite a while. Now finally there is a new album from her, and even the cover artwork represents that the singer is exploring other musical fields. And "El Dorado Hotel" is actually a shift between different styles making it clear that Lana Lane cannot be confined to a single style … Thumbs up for this record. The ebb & flow of the songs on El Dorado Hotel is nearly magical. It's the long lost art of programming & not the modern artless world of singles. Part of the hidden magic of El Dorado Hotel is how it's a journey of interlaced ideas & images, the droplets of one song spawning the ocean of the next. Lana Lane is thus largely playing her own game, particularly as a woman vocalist, and she's playing with bursts of fire tamed and controlled with mesmerizing creativity. Norlander makes the keyboard sound like everything but a keyboard & sometimes his illusion makes one question if he's actually keeping a full orchestra in his studio that he's forgotten to give linear note credit to. Any fears you may have that she's trying to be pop more than rock are blown away by the final track which is a near 12 minute epic of grandeur, simplicity, instrumental excellence and eloquence, firmly in the vein of contemporary songwriting that mixes every element of what's come before, led by the wide-ranging and absolutely stunning vocal performance with which Ms Lane crowns a completely glorious song and long-lasting listening album. It's good to welcome back Lana Lane, after a four year absence, and her fine new studio album, El Dorado Hotel. 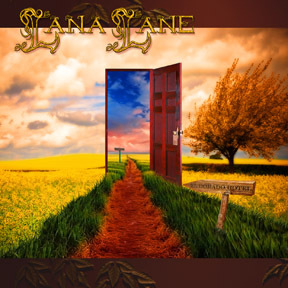 Once more Ms. Lane sounds incredible; she's one of the great pure melodic rock vocalists on the planet ... Lana Lane's El Dorado is pure musical magic, another wonderful display of her beautiful voice, and the music is damn fine too. There is a lot going on within the whole 'compositional approach,' [on Lana Lane’s “El Dorado Hotel”] where the songs really breathe, and who better to front them. Overall the album is produced extremely well, you can hear everything, and that's saying a lot considering all the musicians involved - if only all of these other prog bands could follow suit. The world is desperately in need of a 'rock diva' these days, especially one who can back up her good looks with music that is both powerful and meaningful, and not just fodder for TMZ, MTV, the Super Bowl, and E-Online. 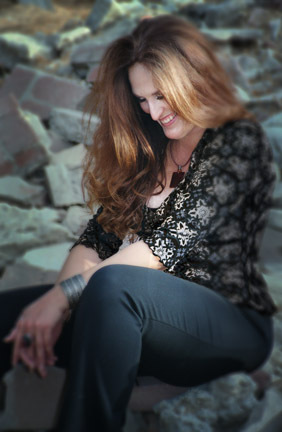 No disrespect to the Lady GaGa's, Madonna's, Beyonce's, and Katy Perry's of the world, but the 'Queen of Symphonic Rock' Lana Lane has been churning out wonderful examples of melodic, anthemic, sometimes very metallic, and often times very progressive albums for many years now, and found a successful niche for herself around the globe … Lana, along with husband & keyboard player extraordinaire Erik Norlander, have another winner here in El Dorado Hotel that deserves to be heard and loved by a much wider audience than it probably will when all is said and done. After a four-year break from the music scene, Lane has released an incredible album that proves to the world that “the queen of symphonic rock” hasn’t lost a step. El Dorado Hotel mixes elements of jazz, rock and metal, along with a touch of the symphonic to create a sound instantly familiar and comfortable to her fans, yet manages to sound new and fresh at the same time. With “El Dorado Hotel” it just great to hear Lana Lane’s voice again, it only reaffirms my belief that she is one of the most underrated vocalists in music today. It’s hard to go wrong with Lana Lane. She has one of the strongest voices in progressive rock and the songs on her discs do a great job of bridging hard rocking AOR sounds with modern and classic prog. So, each album is greeted with welcome anticipation. After a break lasting for four years, Lana Lane eventually returned to amaze us with a stupendous work, “El Dorado Hotel” … Presenting a plethora of musical sounds, it is no less than a brain-teaser. There was no guessing of what it was about to ensue and as a feat, it is indeed miraculous. Hence, no tag would be completely accurate… each and every song has its own musical style. To avoid overkill, it’s worth considering a break for every artist. That’s what one of my favourite singers – Lana Lane – has done and the conclusion is that her brand-new CD, “El Dorado Hotel”, sounds as fresh as if it was her debut album. There is a very dreamy, almost surreal, quality to the music. That alone makes it worth checking her out but you also get strong melodies and a song writing skill that leaves little to be asked for. If you haven’t yet discovered Lana Lane, you better rush out and buy, or at least sit down in front of your computer and get ordering because this you don’t want to miss out on. Lana Lane has more than paid her dues in the music business, and her latest musical gift "El Dorado Hotel" further cements her as one of the elite purveyors of progressive rock. Regarded as prog's "Diva", Lana has always stunned us with her powerful vocal attack, and "EDH" more than delivers in this department.